1.6 What to Do at Grandhotel Giessbach? 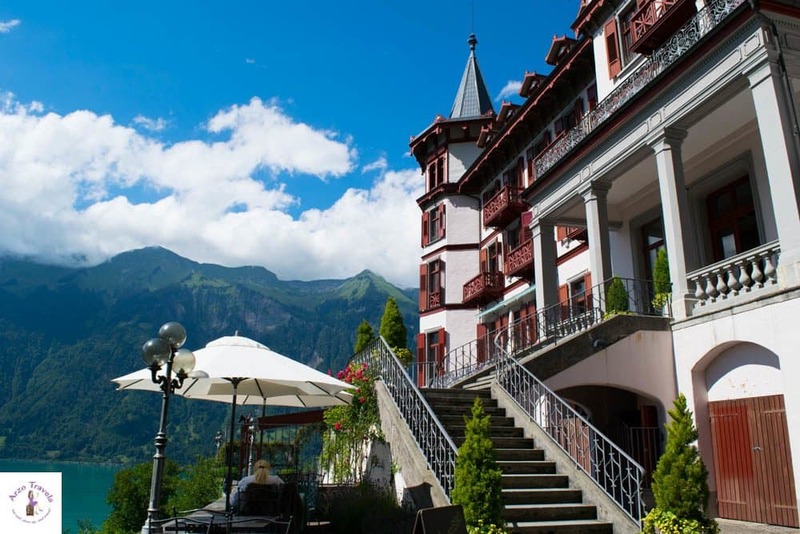 There are 4-star hotels, and then there is the Grandhotel Giessbach in the region of Interlaken in Switzerland. If I had to name my favorite place in Switzerland, it would be the region of Interlaken. 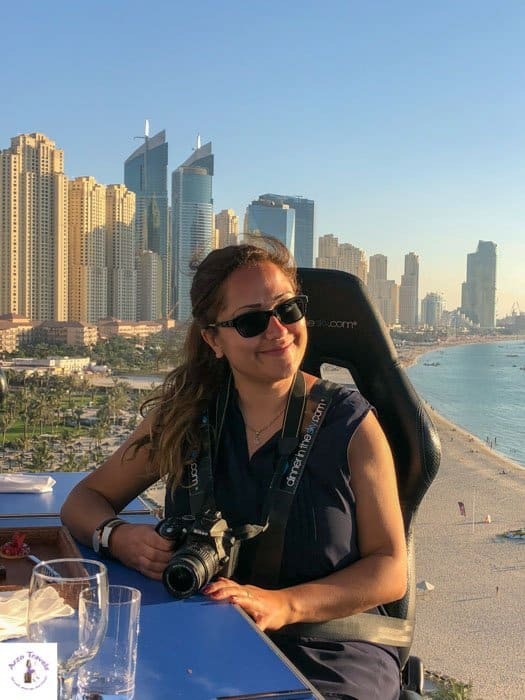 The region is so diverse in its beauty and the options for activities are amazing, which means I could spend months there without getting bored. 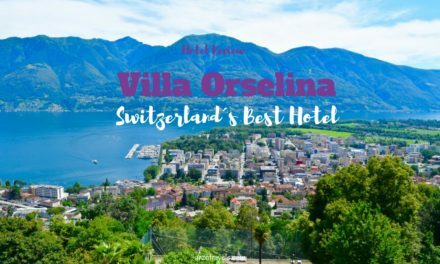 However, the region is also one of the most expensive in pricey Switzerland, and so I was super happy when I found a great deal for the Grandhotel Giessbach, a hotel with the most perfectest (I know that’s not even a real word) location ever (yes, I am a bit biased just because I love that region that much). 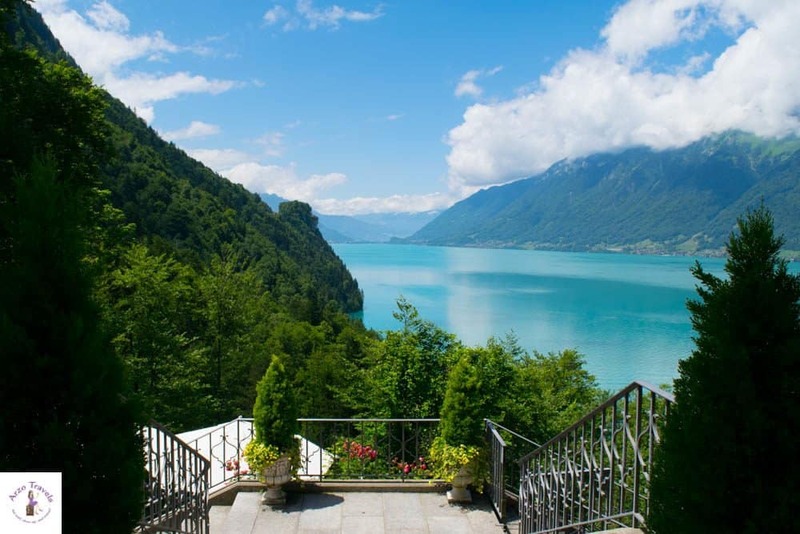 If you are looking for a great place to stay in Interlaken keep reading as you might have found the perfect accommodation. 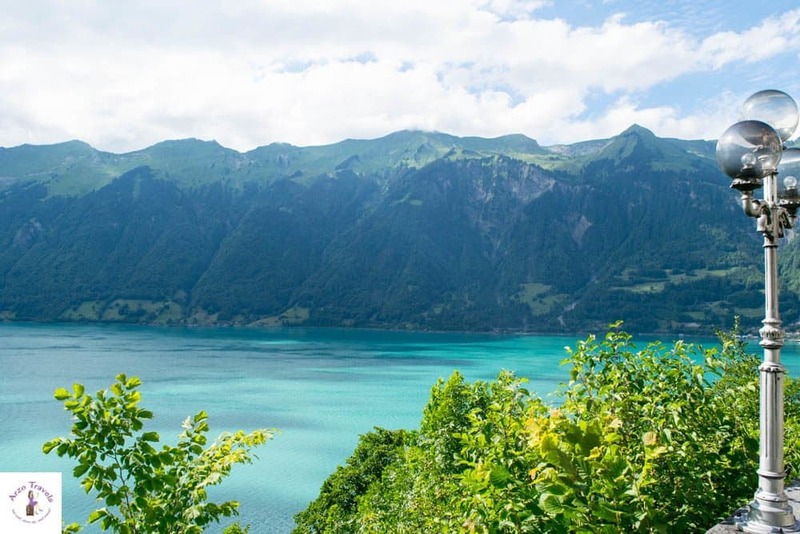 Last year, I did a boat tour on Lake Brienz, my favorite lake in Switzerland because of its amazing turquoise color. Even back then, I knew I had to come back and see more of the Giessbach waterfall. No sooner said than done. 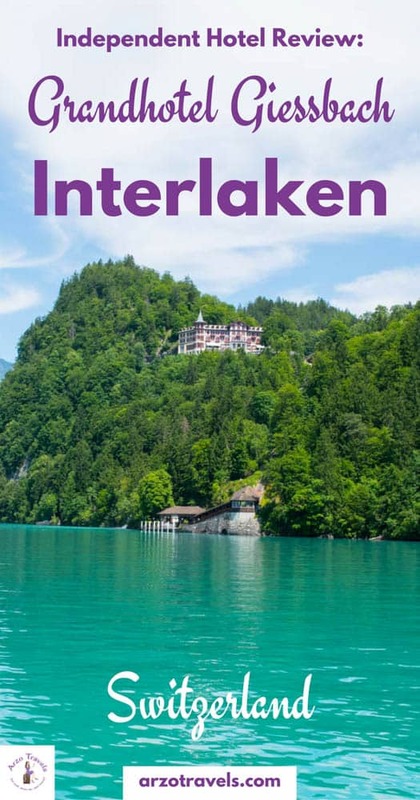 By the way: If you are looking for ideas what to do in Interlaken read my “50 Things to Do in Interlaken” post. Coincidentally, I found a super deal for three nights in July and I could not have been happier when I booked the stay, including half board. My first impressions of the hotel were not the best, but it turned into a little love story (at least on my side). 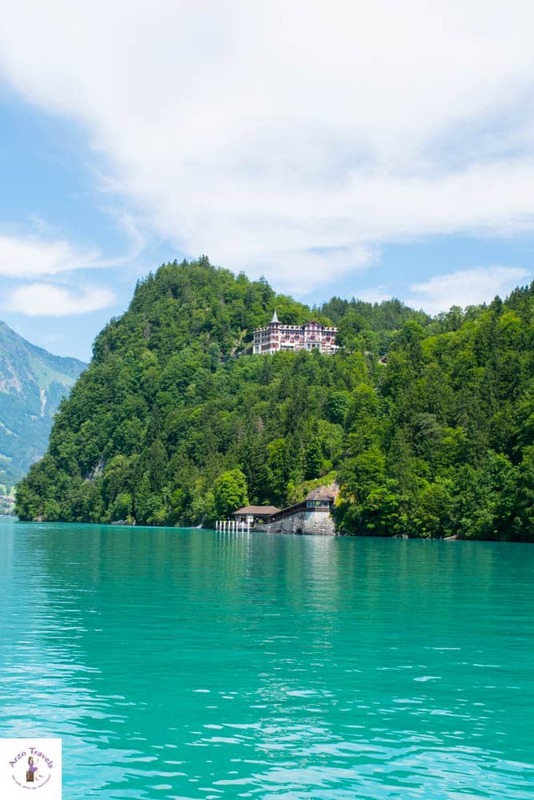 There are several ways to get to Grand Giessbach Hotel – by bus, by car, or by boat. The first two weeks of my Switzerland trip was spent driving my car, so I decided to go there by car. And this is where the misunderstanding started. 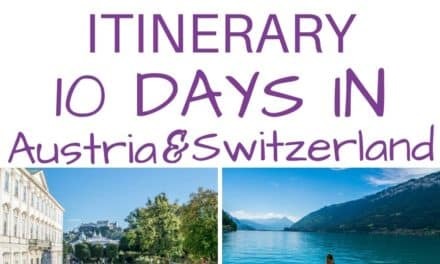 I checked the email that I had received from the Grandhotel and it did not give a specific address, just the town “Brienz“ and a direction (which I do not think is very helpful). So I typed Brienz into my GPS. However, my GPS brought me somewhere else, and I felt lost. I, then, noticed that I could type the name of the hotel into my GPS, and I finally got there (the address would be Axalpstreet in Brienz). If you are not used to driving in the mountains (with the narrow streets and the many curves), then taking a Postauto would be the better option, or taking a boat from Interlaken East station to the hotel (there is a special offer for hotel guests, so once you have booked your accommodation, email them about the boat ride). I arrived by car and all of the parking spaces were full. I expected a concierge/valet service, so it took me a few minutes to realize that no one was coming. I parked my car in front of another car and started to get my luggage out of the trunk. 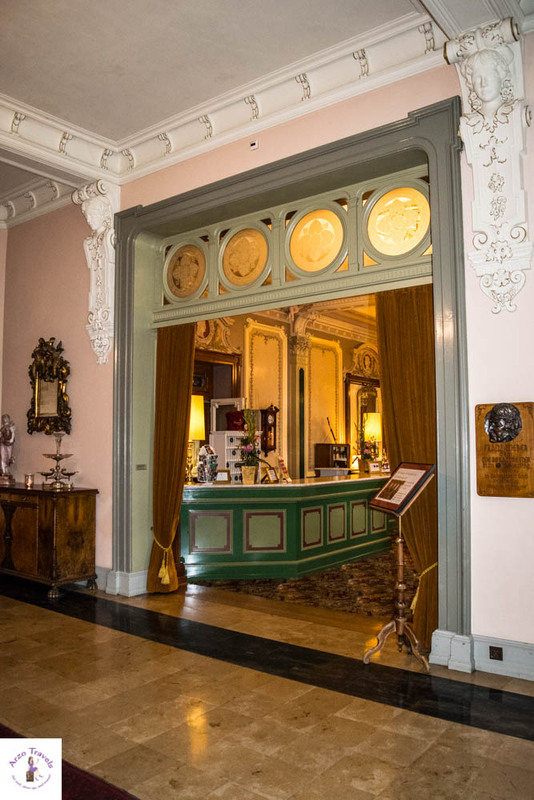 The interior of the Grandhotel Giessbach is very, very classic and charming. Though I prefer – at least for my own house- white furniture that is modern and yet cozy, the beautiful design is surely unique and special. Staying there makes you feel like you‘ve taken a journey back through time to the (glorious) past. The beauty lies in the details – nothing, apart from technical devices, tells you that it is the 21st century, not the 19th. 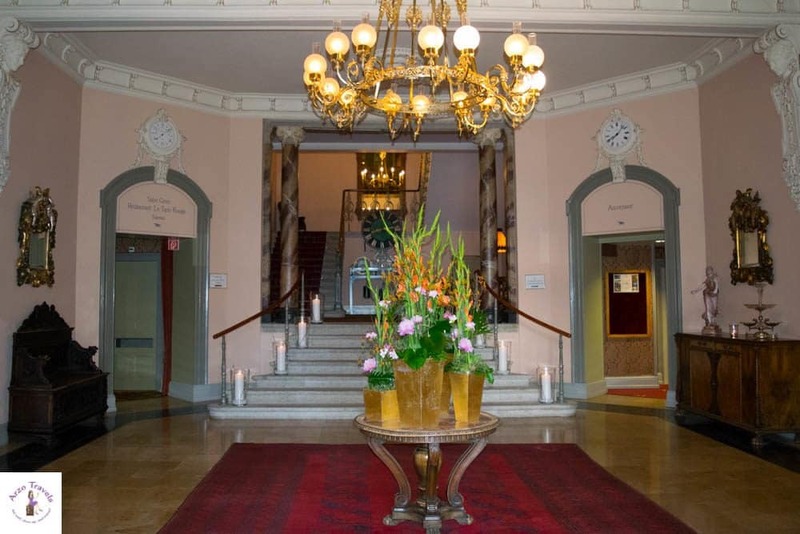 It is no surprise that Grandhotel Giessbach is classified as one of the historic hotels. 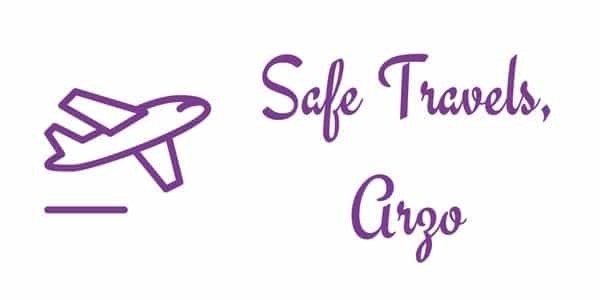 Just note: There is no concierge service for luggage. Though I normally am fine carrying my own luggage, I had so much that night that I wish they had sent help. But I landed up carrying it all on my own (including up steps) – and it was a lot. Despite the fact that it is only a 4* hotel I expected the service of a 5* hotel. So, my stay did not start well, and I honestly was in a bad mood when I checked in. But, fortunately, everything got better. There are different types of rooms, apart from suites and double rooms. I chose the room with the forest view. You have the option to book rooms with views of the waterfall or the lake. Once I checked in, it turned out that I was upgraded to a waterfall view room – with a huge balcony, nice seats, and even some loungers (all in a classic design). I found out later that I shared the balcony with other people who could also look into my room (so I started closing the curtains). The view from my balcony was stunning – though the waterfall is extremely loud, it is a great noise to fall asleep to, and the proximity to the waterfall was a great plus. 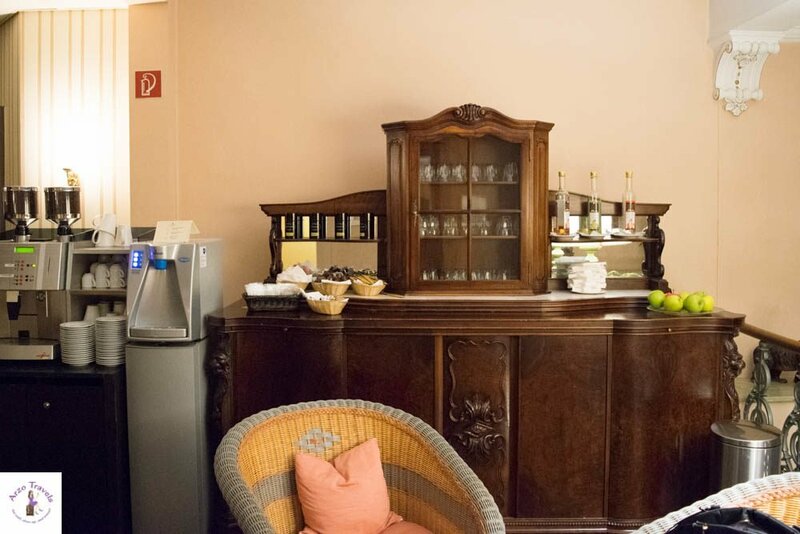 The rooms do not have mini bars, but there is a small “bar“ for guests on the third floor, offering drinks (water, juice, coffee, tea) at no charge. It is lovely and I preferred it over a mini bar in the room. The breakfast at Hotel Giessbach is fantastic. 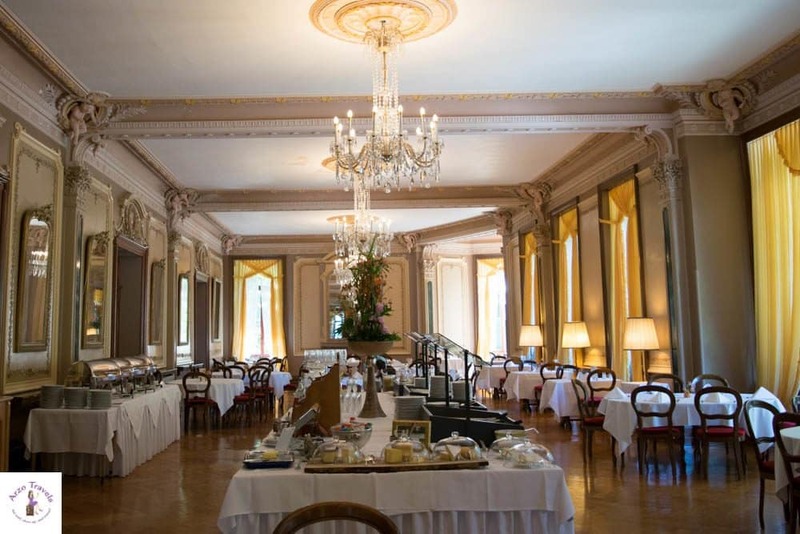 It may be “only“ a 4-star hotel, but the choices and quality were the best I have had in a 4star hotel. On a sunny day, you can sit outside and enjoy a great view of the waterfalls, or eat inside. For some reasons I did not manage to take pictures but all in all the breakfast was more than good. I had half board, which included dinner at night (4-course menu, 2-3 options, one of it vegetarian). I enjoy nice food, but can happily eat fast food for a day or two as well. However, dinner there was fantastic. 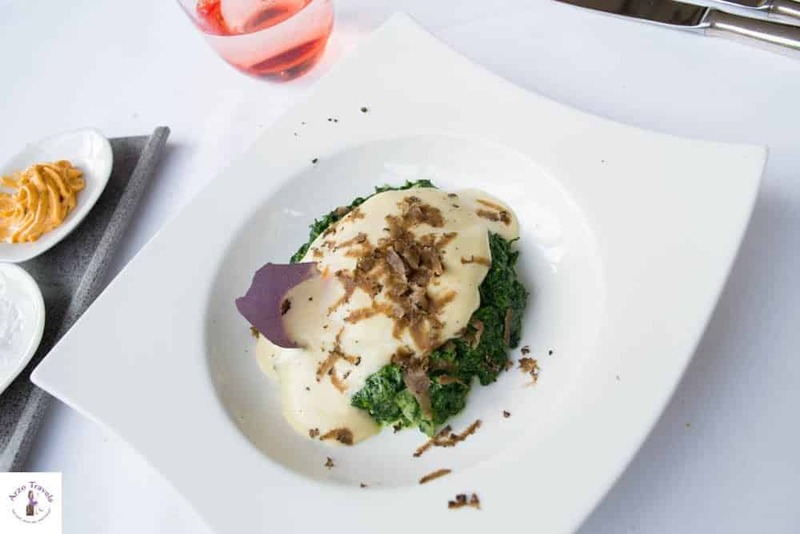 Since I had dinner three times, I can say that not everything was the same level of tasty, but most of the dishes were really great, and some were just sublime. I can see why many Swiss come here for dinner. 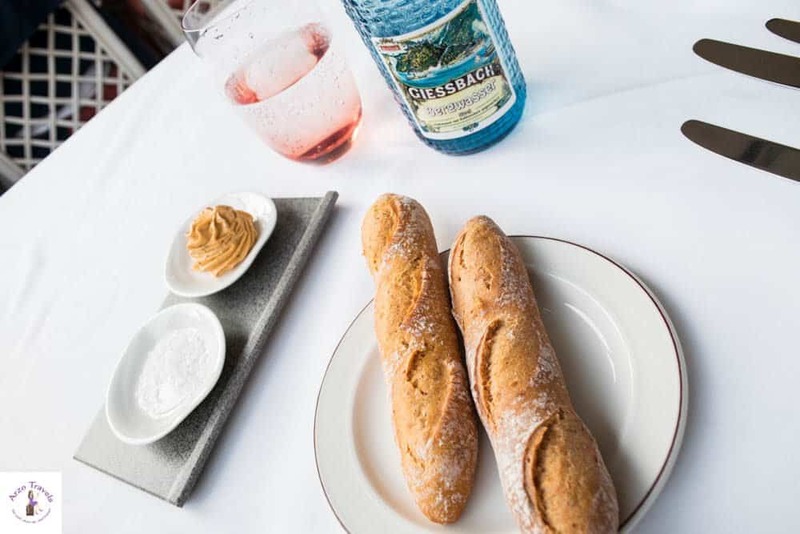 It is indeed a great place to dine (as an Afghan of origin, I eat a lot of bread with my food, and the bread alone was full of flavor; I could have just eaten the fresh bread/baguettes with different butter all day). My dog was not allowed to come into the restaurant, so I was in a rush for the most part, and did not sit there forever. The weather at the time of my visit was moody and so the terrace for dining was not opened. 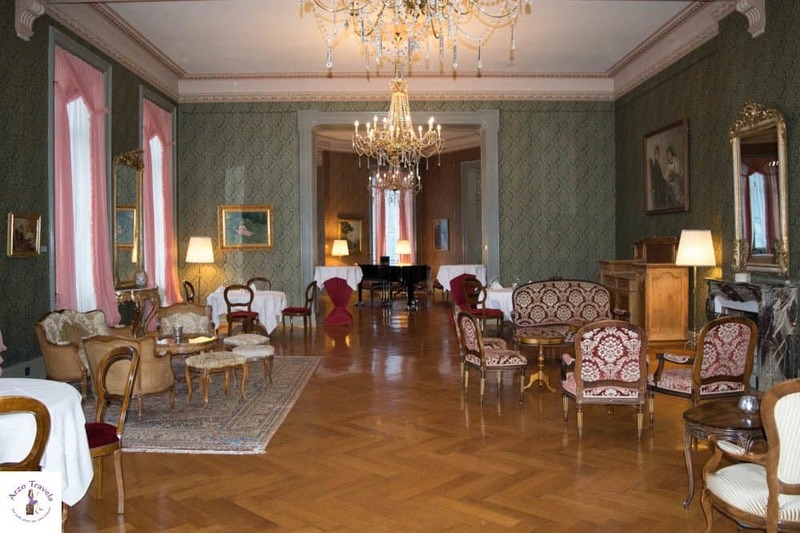 If you do not book a half board, you can have dinner for 65 Swiss Francs (about 53€ drinks not included). 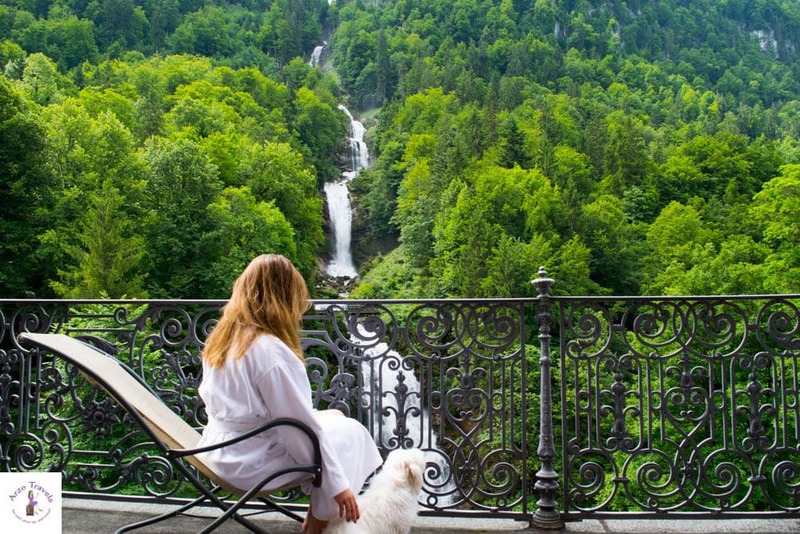 What to Do at Grandhotel Giessbach? 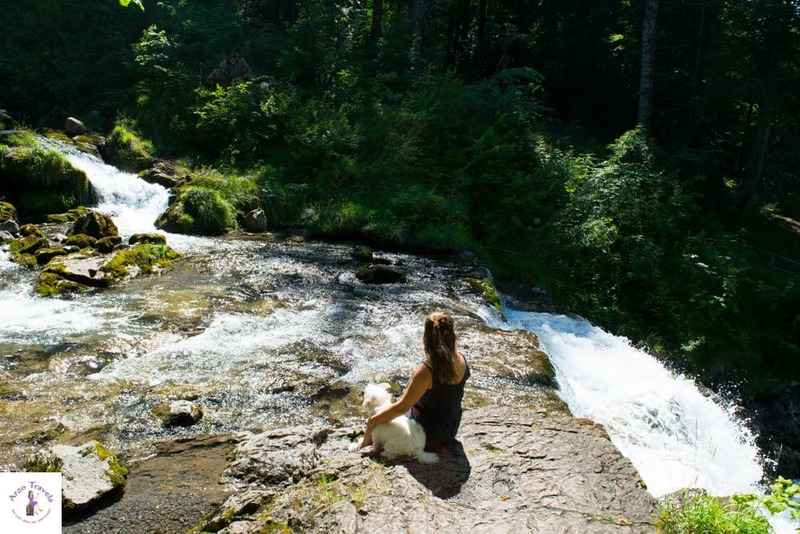 Though it feels like the hotel is secluded, there are still plenty of things to do at Grand Giessbach. There is a little pool for hotel guests, a museum about the history of the hotel, and a little garden that is perfect to relax in (though it would have been awesome to have loungers in addition to the chairs). 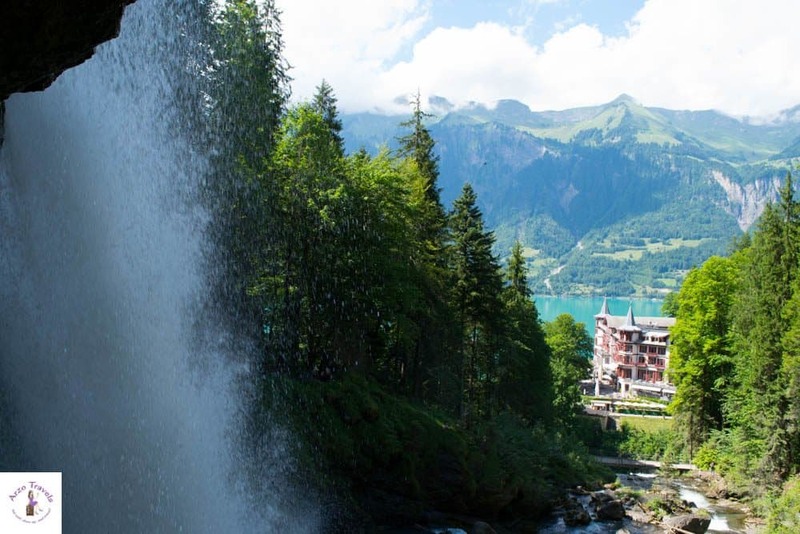 You have the waterfall that you can hike up (or down); you can take the oldest funicular (free to use for guests) to get down to the waterfall and then hike from there to Iseltwald, walk around, or you can do a bigger hike to Axalp. 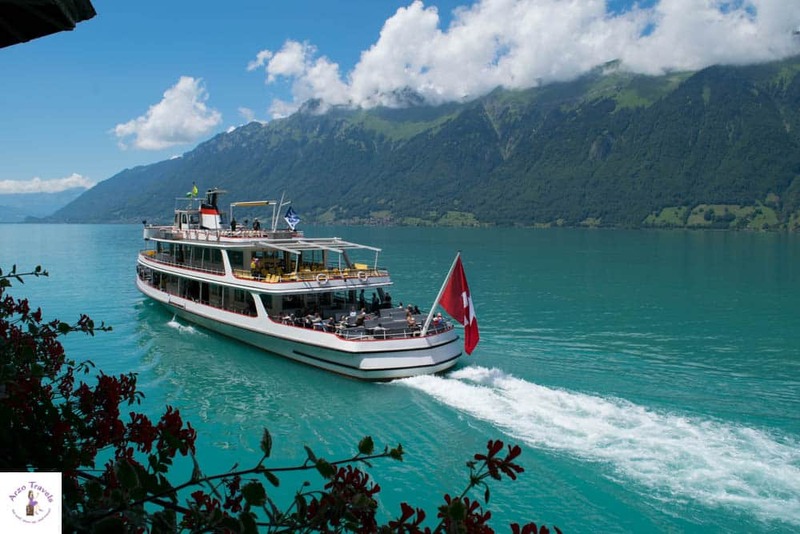 You can take the boat and see more of Lake Brienz and visit other places like Interlaken or Brienz. It should be fine to stay in the area for a few days and do a bit of everything without getting bored. 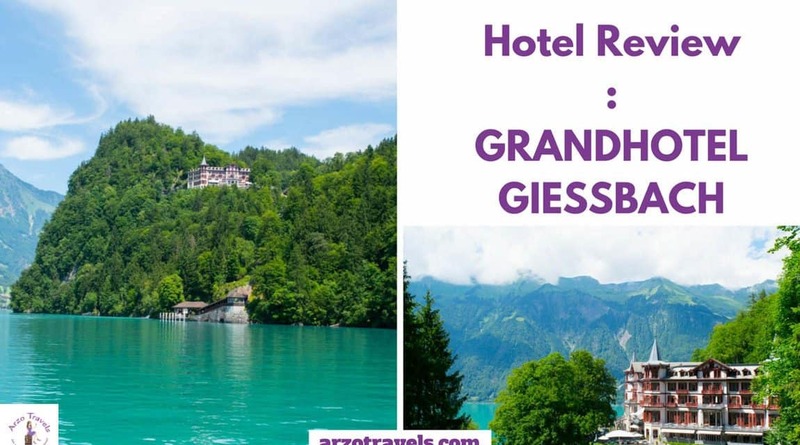 Would I book a stay on my next trip at Grandhotel Giessbach? Yes, because the location of the hotel is awesome and the hotel is actually pretty good (though I was not happy with everything all the time). However, if it had rained I know I would not have enjoyed my stay because there is not that much to do in the hotel itself (no spa etc.) and also the price for pets are quite high (about 18€ a day, which made about 54€ for three nights). Also, keep in mind that the hotel is closed in the winter months. I also loved the fact that there was free wifi in many parts of the hotel area (including in the garden) which is an extra plus. If you like to be active all day and do not like driving (at least not in the mountains) then you should keep in mind that the hotel is quite far from places like Interlaken – but since I did not leave the hotel area much it was absolutely okay for me and I would be happy to visit again for a few nights and I think the Giessbach Hotel is one of the best hotels in Brienz, Switzerland. 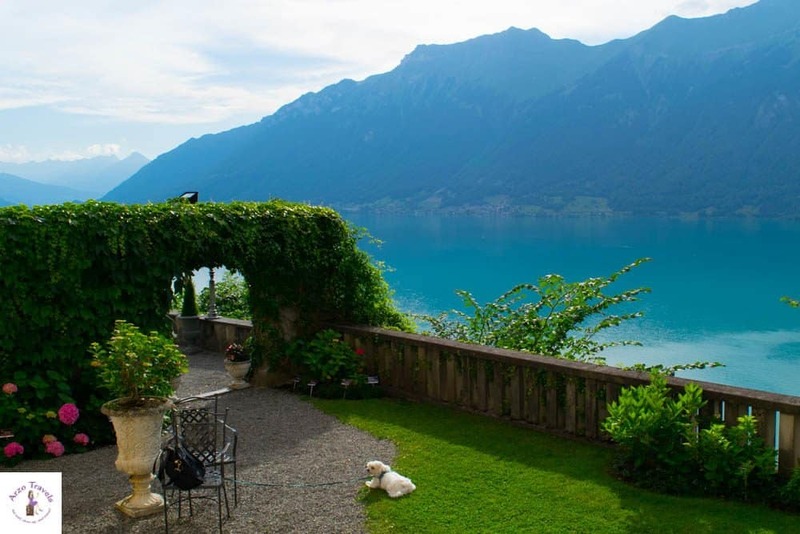 Here are more accommodation tips for your stay in Interlaken. 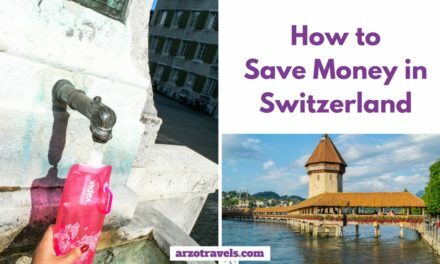 Tip: Switzerland is expensive, so read my top tips to save money on your trip to Switzerland.